4 Whole Baby Hake fish, de-scaled, filleted and butterflied. 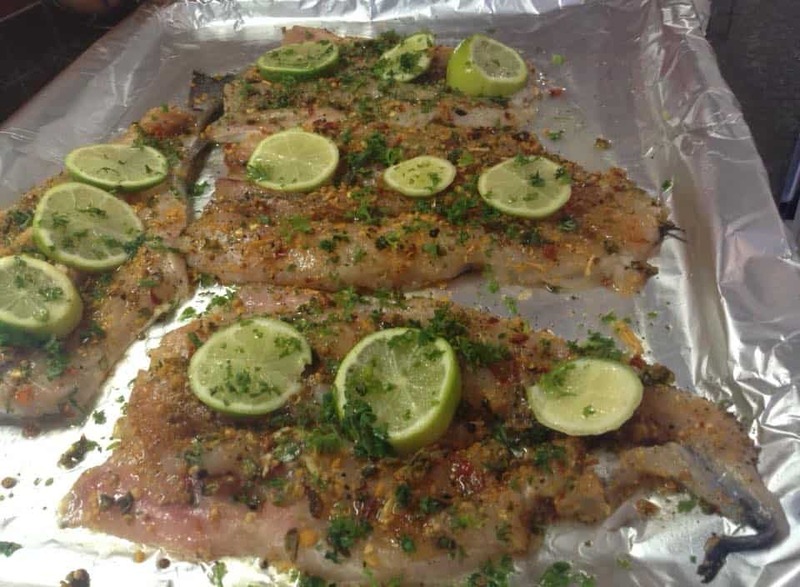 Rub fish with fish/meat rub, ** 2 cloves minced garlic, 3 tbsp chopped parsley, 1/4 tsp red chilli flakes, 1/2 tsp paprika, 3 limes cut into rounds, drizzle of olive oil over the fillets. 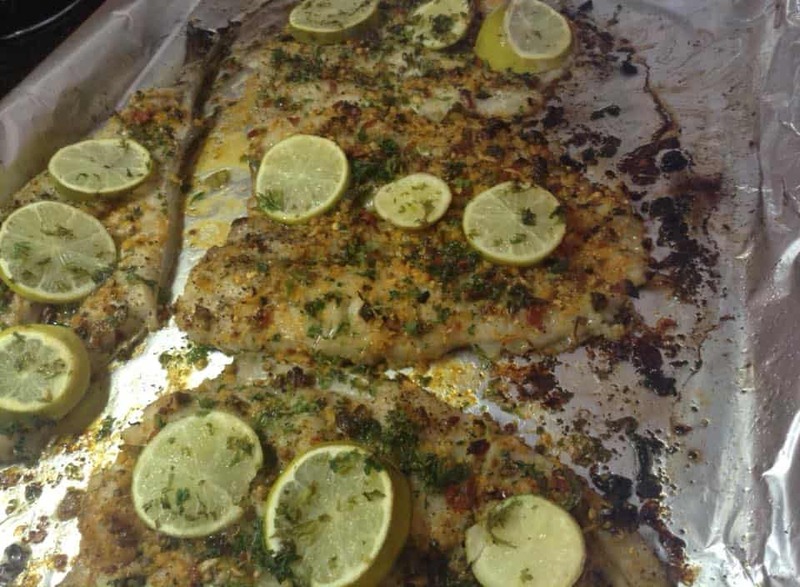 Bake in preheated oven set at 190 C. Place baking tray on the middle shelf with both bottom and top heat for 15 to 20 mins or until hake is cooked through. Serve with green salad and potato salad. ** today I went against protocol and I used a meat spice rub suitable for all types of meat and poultry. I wanted something different. The spice rub is mixed by Joostenberg Farms and is a combination of mustard seeds, peppercorns, garlic salt, bay leaves, thyme, origanum, pimento spice, dried chilli flakes and a bit of Cajun spice. It is divine!